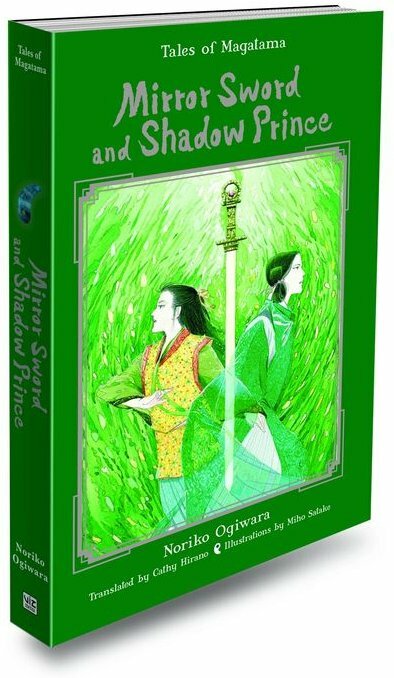 It looks as though the English translation of Mirror Sword and Shadow Prince will feature the cover art of Magatama no Sekai, which was released in Japan last December. The short stories Ogiwara-sensei blogged about earlier this summer will appear in an anthology entitled Magatama no Sekai: Ogiwara Noriko Dokuhon (The World of Magatama: A Noriko Ogiwara Reader) this December. 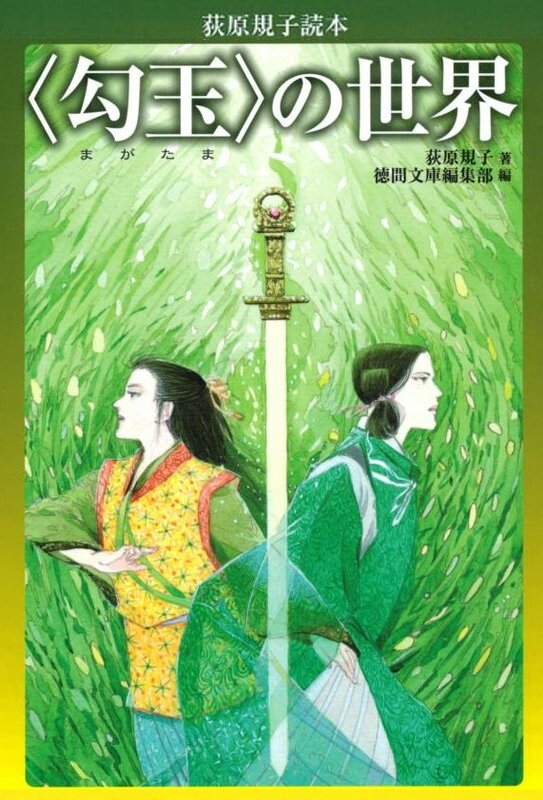 It includes a talk with Noriko Ogiwara and Nahoko Uehashi, creator of the Moribito series, on Japanese fantasy. More details will be added to the new Magatama no Sekai page on this website! Thanks to Cathy Hirano for translation and verification! 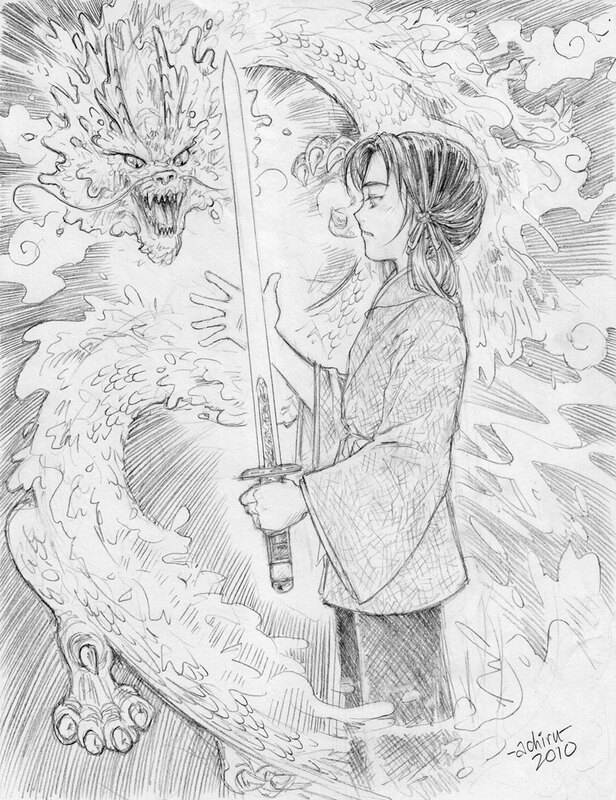 …and I sent her a copy of Dragon Sword and Wind Child. Have you ordered the new paperback yet? 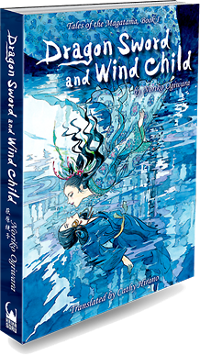 Viz Media will be releasing Dragon Sword and Wind Child in paperback under its Haikasoru label November 16, 2010 (originally scheduled for September 08). This is going to be DSWC’s first time in paperback, so make sure you spread the word and support! Remember, sales and our chances of seeing the sequels have a positive correlation! This prospective anthology will either be serialized in magazines or published in a single volume; it hasn’t been made clear yet. Japanese fans are excited and supportive, so maybe we fans overseas will be able to see these stories one day in English along with the rest of the trilogy.